Why did Jesus build His Church? What is the Church supposed to do? What is our part in that mission? What should our involvement in the Church produce in us? 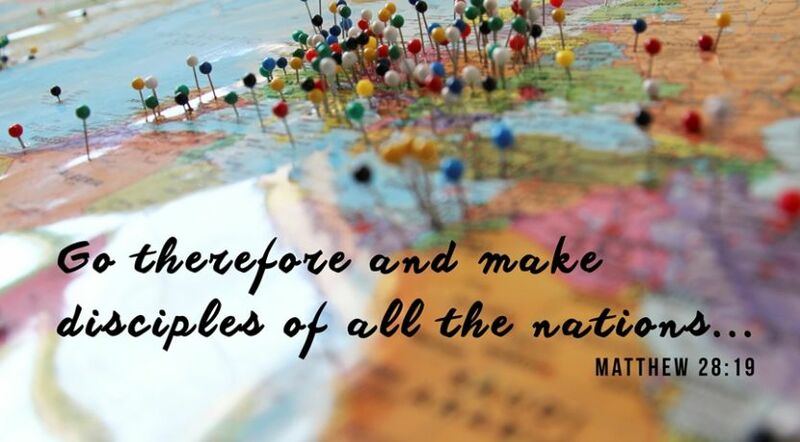 “Go therefore and make disciples of all the nations ...” (Matthew 28:19). God always has a reason for everything He does. Why did He establish His Church? Was the Church just to be a place where people can get together to pray and fellowship? Or is there a greater purpose—a commission—God had in mind for His Church? In our article “The Church: What Is It?” we show what the Church is and what it isn’t. As that article shows, the Bible teaches that the Church isn’t a building. It is a group of people called out of this society by God in order to accomplish a specific purpose—His purpose. What is that purpose? Is it just for giving encouragement to Church members? Providing social activities? Personal salvation? Or is there more to it than that? Jesus Christ said, “I will build My church” (Matthew 16:18). He built it and remains the Head of the Church (Ephesians 1:22; 4:15). So what jobs did He give His followers who would become His Church? After His death and resurrection, Jesus gave His disciples their marching orders. He commanded, “Go therefore and make disciples of all the nations, baptizing them in the name of the Father and of the Son and of the Holy Spirit, teaching them to observe all things that I have commanded you; and lo, I am with you always, even to the end of the age” (Matthew 28:19-20). Jesus also gave His followers the job of preaching the gospel of the Kingdom of God to the whole world (Mark 16:15; Matthew 24:14). Jesus Christ’s message was the gospel—from the Greek word euangelion, which means “good news”—of the Kingdom of God. This whole world is currently suffering the results of being “under the sway of the wicked one”—Satan (1 John 5:19). He “deceives the whole world” (Revelation 12:9) and is even called the “god of this age” (2 Corinthians 4:4). Look around and you will see the evil effects of Satan’s way on our families, cities, nations and world. In fact, the intractable problems of this age are bringing humanity to the brink of self-destruction. But Jesus Christ promised to intervene! He will save us from annihilation, remove Satan and set up a refreshingly new government—the Kingdom of God. As the King of Kings, Jesus will stop all wars and teach the way of peace. The Kingdom of God will bring prosperity, health, positive relationships—all the good things humanity has always longed for. This is truly good news—the best news possible! And the Church of God has the privilege and responsibility of proclaiming this gospel to the world now. Jesus Christ promised to intervene! He will save us from annihilation, remove Satan and set up a refreshingly new government—the Kingdom of God. But does the Bible say that everyone will respond? That the peoples and nations of the world will see the error of their ways and welcome Jesus back to the earth? In fact, the majority will, under the influence of Satan, ignore or ridicule the good news and even fight against Jesus at His return (Revelation 19:19)! Does this mean the Church will have failed? Many have been taught or assumed that the mission of the Church is to save the whole world now. This is a logical assumption based on the teachings of many churches—but is it taught in the Bible? This biblical teaching about God’s love and timing does not diminish the urgency of preaching the gospel. God has not told us how many He will call in this age, so the Church must fulfill His assignment by trying wholeheartedly to reach the entire world with the message of good news, warning and hope. Then Christ tells the Church to be ready to receive all those God calls to be disciples. Often when we think of disciples, we think of the 12 men in Jesus’ inner circle. These were the ones who went on to become apostles. But there were many more disciples than 12. By the time described in Acts 6, there were thousands of disciples, and “the number of the disciples multiplied greatly” (verse 7). So as God calls more learners, the Church has the mission to teach them “to observe all things that I have commanded you” (Matthew 28:20). This, too, is a challenging and rewarding task. As members support the mission of preaching the good news and spiritually caring for the called-out disciples, they help accomplish many other things as well. These bring benefits to each disciple, to the Church and eventually to the whole world. By serving, members of the Church grow to think and act more like God. They “grow in grace and knowledge” (2 Peter 3:18), resist Satan (James 4:7) and develop godly character. The Bible also compares the Church of God to a human body, showing the vital connectedness Church members need to have. God calls people from widely varied backgrounds and gives them different gifts, but He wants them all to learn to work together and care for each other. “But God composed the body, having given greater honor to that part which lacks it, that there should be no schism in the body, but that the members should have the same care for one another. And if one member suffers, all the members suffer with it; or if one member is honored, all the members rejoice with it” (1 Corinthians 12:24-26). Study the scriptures and additional resources in this article and prove for yourself what the job of the Church is. Are you part of a church that is teaching “all things” that Jesus Christ commanded? Are you an integral part of a church that is actively working to fulfill the mission of preaching the good news of the literal Kingdom of God?